Phoenix Contact Middle East is a Great Place To Work For! The final feedback and results were GREAT! Phoenix Contact Middle East is a Great Place To Work For! Opportunity for feedback and for participation in the cultural development. Identifying strengths and opportunities for improvements in the business environment. Measurable target tracking in ”Excellence in Leadership” & Communication”. 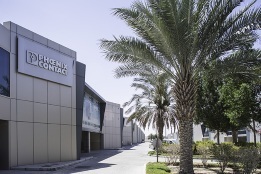 PHOENIX CONTACT Middle East achieved an 82% Trust Index, thus ranking amongst the Best Companies in the country. Read the news on our website.